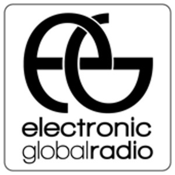 Electronic Global Radio is a web radio made by DJ around the world. With some djs around the world, like Dj Shu-Ma (japan), Marco Lys (Italia), Lady Leb (USA), we work together to promote electronic music around the world. One goal, how djs represent their own electronic music (house, techno, deep house or other) in their country. the editorial content is performed by an australian web magazine Magnetic Mag. Open your own vision on Electronic vibes!